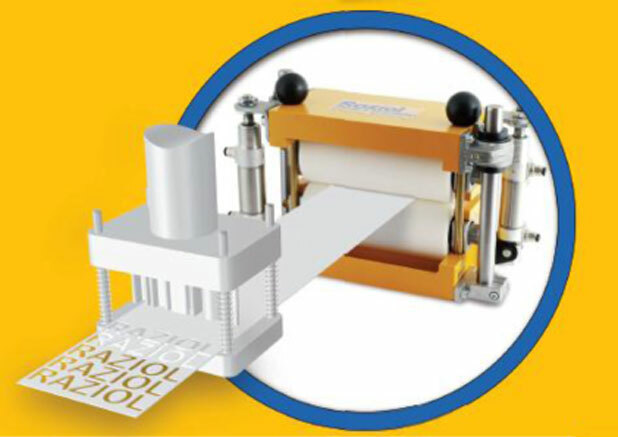 These roller lubrications provide an optimal dosage of the Oil film onto the material. 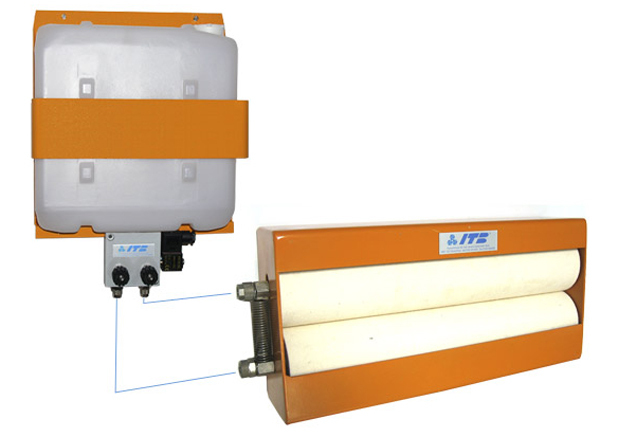 By using the adjustable dosing system many applications are possible. Divorced lubrication for top / bottom. Environment friendly lubrication without oil fog. An efficient article for the stamping industry. 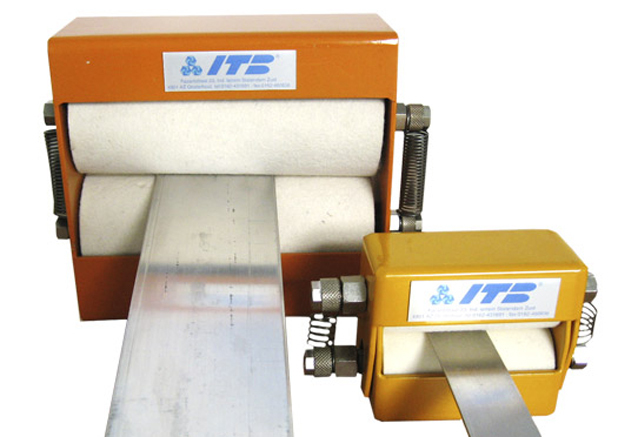 For almost every strip width available, also in pneumatic or motorised versions. 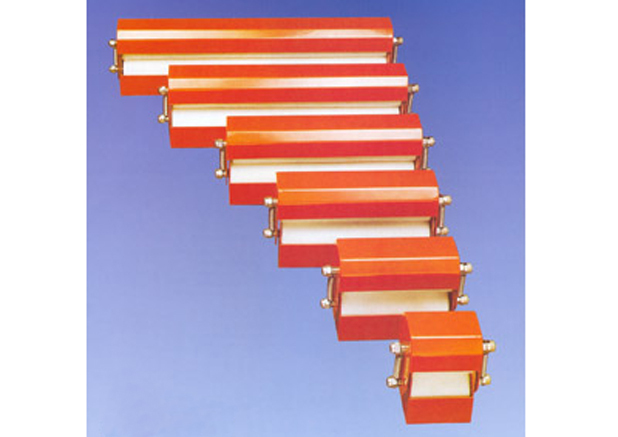 Felt or brush rollers, for strip and parts. Oil mist-free application of forming lubricants to coil material and blanks by contact lubrication. Provided with oil separation block and electronic control. Oil quantity and oiling time are electronically adjustable. For high and low oil viscosity. 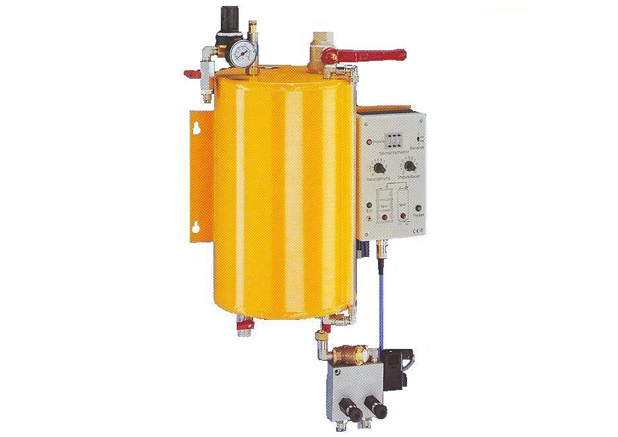 We have a large program in lubrication systems contact or non-contact, dosing systems, spraying units and partial lubrication systems.